Bde Maka Ska Park	The largest link in the Chain of Lakes has three beaches and a variety of water recreation activities. Name and derivation: On January 29, 2018, Bde Maka Ska (pronounced “b-day ma-KHA skah”) became the official name of the lake previously known as Lake Calhoun, following county and state approval of a request to change the lake name. Bde Maka Ska translates to “White Earth Lake” in the Dakota language. The MPRB does not have the authority to officially change a lake name. 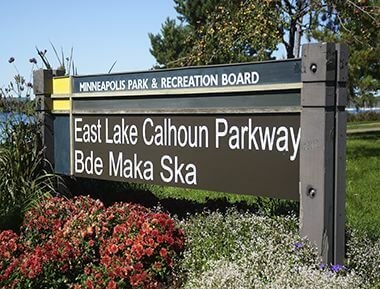 Following two years of community engagement, MPRB Commissioners unanimously approved on May 3, 2017, the Calhoun/Bde Maka Ska-Harriet Master Plan, which included an Equity Subcommittee recommendation to support restoration of the name Bde Maka Ska. Following approval of the master plan, the MPRB submitted a petition requesting the lake name change to the Hennepin County Auditor. A public hearing on the name change was held by Hennepin County on Oct. 17, 2017 and Hennepin County Commissioners approved a resolution requesting the name change on Nov. 28, 2017. Then the County submitted the resolution to the Minnesota Department of Natural Resources (DNR). The DNR announced its approval of the name change on Jan. 18, 2018. The lake name change became official in Minnesota today, Jan. 29, 2018, after DNR approval was recorded by Hennepin County and published in the State Register. The DNR also submitted the Hennepin County resolution, along with the state approval, to the US Board of Geographic Names, which will approve or deny the name change for federal use sometime in mid to late 2018. Park entry signs and MPRB digital and print communications display the name Bde Maka Ska. The names of Calhoun Parkway, East Calhoun Parkway and West Calhoun Parkway will not be changed by this action nor will city street signs bearing those names change, per the approved park master plan and the recommendations of the Citizen Advisory Committee. Additional action would be required by the Board of Commissioners to change the parkway names. Park entrance signs were previously updated on Oct. 2, 2015 to include both Lake Calhoun and Bde Maka Ska as a public education effort and as a way to honor the Dakota name. The action followed a Sept. 2, 2015, report to Park Board Commissioners about the name Lake Calhoun which stated the Park Board has historically never taken any actions related to the naming of Lake Calhoun and the Board does not have the authority to re-name it. The lake had been named for John Caldwell Calhoun, U.S. Senator, vice president of the United States, and Secretary of War under James Monroe. As Secretary of War, Calhoun ordered Colonel Leavenworth to establish a fort in the region, which became Fort Snelling. Despite the council’s objection to an independent park authority, Minneapolis voters approved the Park Act in April 1883. One of the new park board’s first actions was to hire landscape architect Horace Cleveland to create a plan for the new park system. His plan, which proposed parkways to connect points of natural beauty, included a parkway all the way around Lake Harriet, then along the south and west shores of Bde Maka Ska connecting to Lake Street, and running along the north shore of the lake. The only part of the Bde Maka Ska shore not included in Cleveland’s proposed system of parkways was the shoreline on the east side of the lake from Lake Street to Lakewood Cemetery. Ironically, that eastern shore was the first land the park board acquired at Bde Maka Ska. It wouldn’t acquire the south and west shores for another 25 years. It wasn’t that the new park commissioners, with Charles Loring as president, didn’t try to follow Cleveland’s plan; they did. In late 1883 the board designated the entire shore of Lake Harriet and the south and west shores of Bde Maka Ska for acquisition—as well as a parkway on Lake Street from Bde Maka Ska to the Mississippi River. But many of the park board’s early plans were blocked by the high cost of the land it wanted. 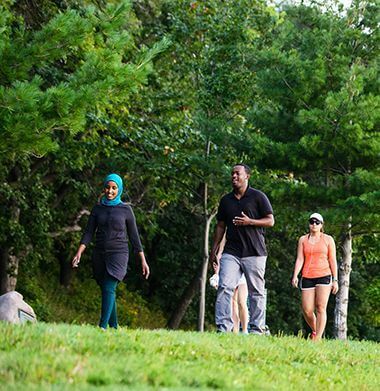 The first land the park board purchased was for neighborhood parks—Loring, Farview, Logan and Riverside parks—and little money was left to buy lake shores and river banks. It bought some land on the east bank of the Mississippi River near the University of Minnesota campus, but couldn’t afford to buy more and eventually sold some of those lots. The land it wanted around Lake Harriet was valued at nearly $300,000, way beyond its budget, and the board abandoned that acquisition until Henry Beard, James Merritt and Charles Reeve came forward with an offer to donate that land. (The courts later decided that William King owned some of that land, but King honored their offer of the lake shore to the park system. See Lake Harriet for more of that story.) The park board also found the price tag for land for a parkway on Lake Street from Bde Maka Ska to the river too high and abandoned that plan. In the face of those failures, in 1885, the park board determined to buy a shorter stretch of the Bde Maka Ska shore, the shortest connection from Lake of Isles to Lake Harriet. Lake of the Isles, largely a swamp, hadn’t figured in early park planning at all, but following Charles Loring’s success in getting most of Lake Harriet donated to the park system, he found that many landowners around Lake of the Isles were also willing to donate lakeshore for a parkway. 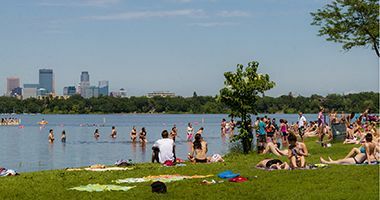 With Lake Harriet and Lake of the Isles incorporated into the park system at little cost, the park board needed a way to connect those lake shore parkways by establishing a parkway around Bde Maka Ska. The east shore was the logical way to connect them; it was the shortest route. Even then it was a difficult acquisition, but in December 1885 the park board designated a strip of land along the lake for purchase by condemnation. The land was appraised at nearly $30,000, which Loring wrote was “in the opinion of the Board quite beyond the actual damages.” Yet Loring and others considered the land essential to acquiring a parkway that would run from Loring Park to Lake of the Isles, then to Lake Harriet. Loring wrote in his diary of the effort to convince other park commissioners to spend the money. Loring wrote that he and fellow park commissioner, Eugene Wilson, took another commissioner, John Oswald, out on Bde Maka Ska in a rowboat to show him the beauty of the lake and its vital connection to the other lakes. Oswald was won over and voted to pay the price for the first park land at Bde Maka Ska. The cost of the acquisition was levied against property in the area. The park board took another step toward acquiring Bde Maka Ska in 1887. The park board reported then that it had secured a 1200-foot strip of the northwest shore of Bde Maka Ska through a donation by Joseph Dean and others of land extending from the west side of Lake of the Isles to Bde Maka Ska. Most of that land became Dean Parkway, but included part of the shore of Bde Maka Ska. That donation was not completed until 1892, when the park board finally complied with the terms of the donation by constructing Dean Parkway through that land. Joseph Dean’s heirs had made possible another important development at Bde Maka Ska when, in 1891, they sold to the park board for $22,000 the land that connected the east sides of Lake of the Isles and Bde Maka Ska. This was at the time the “missing link” in the parkway system, the only gap in the Loring Park-to-Minnehaha Creek parkway around the lakes. In 1907 the park board took another important step in securing title to the entire lake shore; it purchased most of the land between Lake of the Isles and Bde Maka Ska. The purchase completed park board ownership of the north shore of Bde Maka Ska. An additional benefit of the purchase was that it enabled the park board to get rid of the ice houses on the north shore of the lake, which were considered to be an eye sore. The ice houses were used to store ice cut from Bde Maka Ska in winter for sale throughout the year. The issue of acquiring the south and west shores of the lake remained open and many landowners along the shore offered to donate strips of shoreline to make possible a drive around the entire lake. In the 1907 annual report the board advocated the acquisition of the remaining shore of Bde Maka Ska, in part, out of consideration for those land owners who already had offered to deed shore rights to the park board for a parkway. In 1907 and 1908 the park board accepted deeds from at least seven property owners on the south and west sides of the lake. In June of 1908 the park board designated for purchase the remaining land that had not been donated. The entire shore of the lake was finally acquired in 1908, and in its 1909 annual report the park board for the first time added the 461 acres of the lake to its inventory. Curiously, in the inventories of park lands the park board published in its annual reports into the 1960s, the board never included the estimated value of the donations of land around Bde Maka Ska—from Joseph Dean in 1887 to the Minikahda Club and others in 1908—as it did for other park properties. The total cash cost of acquiring Bde Maka Ska over more than 20 years was just under $130,000, a pittance compared to the inestimable value of the lake to the people of the city over the years, but nearly double the price of any other lake acquired by the park board. Less than two years after acquiring Bde Maka Ska’s eastern shore and building a parkway along the area it referred to as Calhoun Terrace, the park board began making provisions for recreational use of the lake. In 1887 the park board provided recreation at the lake by creating a skating rink, a racetrack on the lake for horses, which was later moved to Lake of the Isles, and a toboggan slide. In the summer of 1887, the board also sold a concession to rent boats from park property on the east side of the lake. Public demand led the park board to erect a temporary bath house on Bde Maka Ska in 1890, the first recreation building of any kind operated by the park board. The first bath house was for men and boys only, but the next summer the park board added a separate bath house for women and girls. 1891 was also the first year that the Minnesota Fish Commission stocked fish in city lakes and proposed maintaining the lakes as fish hatcheries. The bath house at Bde Maka Ska was the first building the park board ever operated, even though it was removed from the beach in winter. It was also the site of the first recreation instruction on park property. In 1895 the board granted permission to Mabel Clark and Harry Feagles to give swimming lessons at the bathhouse. At the same time the park board approved the purchase of swimming suits—10 for women, 25 for men—for rental at the beach. The board also accepted the offer of Dr. Avery to teach bath house employees how to resuscitate drowning persons. In July 1911 Bde Maka Ska was “married” to Lake of the Isles with the opening of a channel between the lakes. The opening of the water connection between the lakes on July 5 was the focus of a week-long celebration in the city. 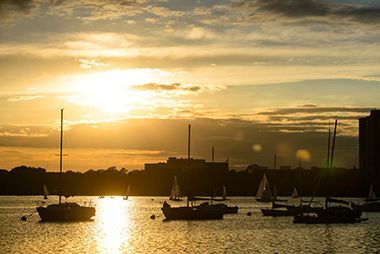 The celebration featured canoe races, fireworks at Lake Harriet and a play about the city’s history that ran for three nights at Loring Park to crowds of 25,000 each night. A cartoon in a Minneapolis newspaper depicted the event as a wedding of the lakes, and indeed water from both lakes were mixed in a “loving cup” and poured into the canal to symbolize the union of the lakes. When noted landscape architect Warren Manning was hired to review plans for the entire park system in 1899, he treated the connection of the two lakes as a given in his report. But it wasn’t until 1905, in response to petitions from citizens to connect the lakes at a depth that boats could pass between them, that the board made its first commitment to proceed with the project. Park superintendent Theodore Wirth, who was hired in 1906, presented the first plans for a Lake of the Isles-Bde Maka Ska water connection in the 1907 annual report. 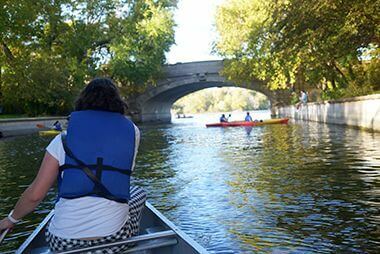 As Wirth began improving the often-flooded parkway on the west side of Lake of the Isles in 1907, which eventually led to the reshaping of the lake and elimination of wetlands and swamp there, the board approved plans and cost estimates—about $100,000—to create the channel between the lakes. Wirth’s original plan was eventually modified considerably, eliminating a harbor he had proposed between the lakes. The plan to link the lakes was followed in 1908 by a detailed plan for the development of all the newly acquired land between Lake of the Isles and Bde Maka Ska. That plan included separate roadways for Lake Street and a parkway next to the lake. Park board president Jesse Northrup noted that the parkway was made possible due to the street railway company “cheerfully” moving its track further from the lake, at a cost of $25,000 to the company, to make space for a parkway. The street railway tracks had previously run along the edge of the water between Lake Street and the lake. One of the great challenges—and expenses—of the water link between the lakes was building the bridges over the canal for railroads and streets. A design competition, with a first prize of $800, was held for those bridges, which drew entries from around the country. The park board had employed a dredging company from 1907 to 1911 to dredge and reshape Lake of the Isles, especially the western shore. In 1911 the dredges were moved across Lake of the Isles to dig the channel between the lakes and when that work was completed they moved into Bde Maka Ska to work on the north and west shores. ( The dredges would return to Lake of the Isles two years later to begin work on the Kenilworth Lagoon connecting Lake of the Isles to Cedar Lake.) The goal was to create a beach on the strip of land originally donated by the Deans in the northwest corner of the lake and to construct a firm road bed for a parkway along the west shore. In 1910, the year before the channel between the lakes was completed, Theodore Wirth had presented plans for the development of much of the rest of the land around Bde Maka Ska. It was a project he had opposed when he had arrived in Minneapolis four years earlier. With the acquisition of the west shore of the lake in 1908-1909, however, the creation of a parkway there became a given, partly because a condition for the donation of some of the shore was that a parkway be built. And it didn’t appear that the Minikahda Club would be relocating anytime soon. With plans in hand for the northern and western shores of the lake, and the channel to Lake of the Isles completed, the park board began construction of a modern beach house, a changing room for swimmers, in 1911. The old temporary beach house on the northeast corner of the lake was divided into two sections; one was moved to Lake Nokomis and the other to Glenwood (Wirth) Lake. A boathouse was built on the old bath house location. The new house on a new beach, which was created by dredging sand from the lake bottom, was completed in 1912 and was an immediate success. Demand for the use of the changing rooms at the beach house was so great that swimmers were limited to leaving their clothes in a changing room for only an hour, despite the capacity to accommodate 1,250 people. Soon, the park board replaced many of the larger changing rooms with lockers to accommodate more people. Lines of swimmers waiting to use changing rooms and lockers stretched for blocks on hot summer days. The beach house was so popular that many people, Charles Loring and Theodore Wirth among them, advised the park board to acquire the land across Lake Street from the beach to prevent commercial development there. It was the only piece of land between Lake of the Isles and Bde Maka Ska that the park board didn’t own. Unfortunately, the park board never did acquire that land, which would lead nearly 80 years later to a battle to prevent the development of high-rise residential buildings across the street from the lake. That fight eventually produced a new city ordinance limiting the height of buildings near the lakes. The story of the early development of Bde Maka Ska underscores the challenges of creating parks, especially in an urban setting, with streets and railroad tracks to contend with. The cost of development far exceeded the cost of the land—an experience repeated many times in the history of Minneapolis parks. The cash cost of acquiring Bde Maka Ska, without the value of donated land, was less than $130,000. But the park board spent more than $300,000 developing only the northern shore to uses the public wanted, from canal to parkway to bathhouse. And that was before the park board incurred the continuing costs of operating and maintaining the land and facilities. As development of the north and west shore parkways and facilities were still being planned, the park board also focused on the southern shore of the lake. 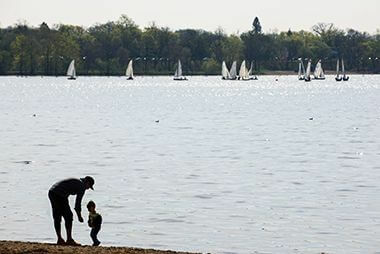 As part of the consideration of linking all the southwestern lakes, the park board also looked at creating a water connection between Lake Harriet and Bde Maka Ska. In 1909, Wirth presented options for that connection. The challenge was that Lake Harriet was seven feet lower in elevation than Bde Maka Ska. Any connection between those lakes would have required the construction of locks. One option Wirth presented was a canal that would have run south from Bde Maka Ska along what is now Washburn Avenue through Linden Hills, turning east at 43rd Street to roughly Thomas Avenue, then following Thomas through Dell Park to meet Lake Harriet at 45th Street. The best option for the canal, Wirth noted, was through Lakewood Cemetery. Wirth considered none of the plans very practical and they were never apparently given serious consideration. But the plan for a canal through the wetlands south of Bde Maka Ska perhaps did give an idea to the Lake Harriet Commercial Club. In 1909 the city council had refused a request from the group to fill the wetlands lying along what is now Washburn Avenue, so in 1910 the club asked the park board to acquire that land from Bde Maka Ska to 43rd Street between Xerxes and Washburn avenues as a park. The park board declined, after surveying the area, due to a shortage of funds. But the issue came up again a few years later as the park board considered building permanent parkways around the south and west shores of Bde Maka Ska and improving Interlachen (William Berry) Park nearby. In January 1916 the park board designated for acquisition 65 acres of land south of Bde Maka Ska for a “lagoon”—also called “South Bay”—from Bde Maka Ska to 42nd Street between Xerxes and Upton avenues. The proposed acquisition and development of “South Bay Drive” was one of the most contentious issues for the park board for many years. Over the objections of some commissioners, who felt the cost of the project was too high and ignored other priorities, especially playgrounds, in other parts of the city, the park board stuck with its plans to add substantially to the size of Bde Maka Ska by dredging a bay. The sticking point finally was the cost of the project and how it would be paid for. The park board proposed to assess the cost to property owners: two-thirds to property in the area and one-third to property throughout the city. The total estimated cost of the lagoon and parkway around it was $242,000 out of a total of nearly $700,000 proposed for all the improvements recommended at Bde Maka Ska and Lake of the Isles and William Berry Park. The landowners in the vicinity filed a law suit challenging the park board’s authority to assess their land for the cost of the improvements. Before the suit was determined in court, the park board annulled all previous proceedings on the project due to a rapid rise in estimated costs during the inflationary time following World War I. It wasn’t until 1922 that the Minnesota Supreme Court ruled in favor of the park board and its authority to assess the costs of improvements on property owners. By then “South Bay” had become too expensive and the park board never reconsidered that part of the project. However with the favorable court ruling the park board did begin the dredging and reshaping of the southern shore of the lake in 1923. In his 1923 annual report Wirth wrote that the weedy, shallow, unnavigable and unsanitary water on the southern shore of the lake had been eliminated. The area of water was reduced by ten acres, but all of it was then navigable, according to Wirth. The reason for the dredging was not just to eliminate swamp, however. Solid ground was needed to construct a permanent parkway and that ground was built up, as it had been at Lake of the Isles years before, with fill dredged from the lake. The next year, as work continued at Bde Maka Ska, Wirth reported another 26 acres of land were claimed from water leaving “no shallow, weed-blocked, mosquito-breeding water areas.” Water was dredged to a navigable depth or filled to create lawns, ball fields and parkway. The dredging and filling and road construction were completed in 1925. 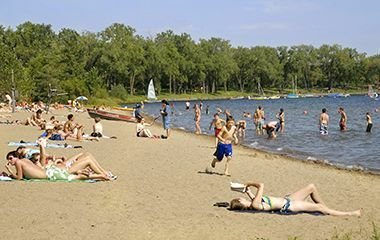 The improvements included the addition of beaches on the south and east shores of the lake. These additional beaches addressed a growing concern by Wirth and the park board as more people acquired cars. As cars became more commonplace, people tended to drive to the lakes already in their swimming suits and therefore didn’t need to use the beach house changing rooms—nor limit their swimming to the beach there. The problem was that the park board couldn’t provide for the safety of swimmers everywhere on the lake. In 1921 Wirth proposed permitting swimming at other places on the lake in addition to the beach house. Where swimming was not authorized, Wirth suggested covering the shore with gravel and stones that would make walking and bathing in those areas nearly impossible. Adding a beach on the south side of the lake and another on the east side, ultimately addressed the issue in a more hospitable way. Adding attractions to the designated beaches also may have helped reduce illicit swimming. 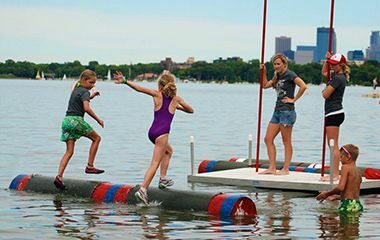 In 1924 water toboggans were constructed on the beaches at both Bde Maka Ska and Lake Nokomis. They were precursors to today’s water parks. There is no record in park board proceedings of when or why the water toboggan slides—or the diving platforms—were taken down. Since 1925 few changes have been made to the basic shape of the lake and the road bed of the encircling parkway. In 1930 a new shelter, toilet building and refreshment stand were built at the northeast corner of the lake near Lake Street and in 1940 the Works Progress Administration built shore protection walls along portions of the eastern shore. Low water levels in the lakes in the 1950s–nearly two-and-a-half feet below normal–led to additional dredging of the channel between Lake of the Isles and Bde Maka Ska and eventually to dramatic measures to maintain water levels in the lakes. In 1957 a pumping station was installed at Bassett’s Creek to pump water from that creek through a pipeline to Brownie Lake to raise water levels in the Chain of Lakes. But water levels remained low and the channel to Bde Maka Ska was too shallow even for canoes to pass through in the late 1950s. The low water levels in the lake led to problems other than a reduction in canoeing. Weed growth accelerated with low water levels and in 1959 the park lakes, including Bde Maka Ska, were treated with sodium arsenite to control weeds. Efforts to raise lake levels by pumping water from Bassett’s Creek proved inadequate and in the 1960s a pipeline was built all the way to the Mississippi River to pump water into the lakes. The problem with that solution, however, was that the river water contained higher levels of phosphates than were considered healthy for the lakes. While pumping continued intermittently through the 1970s and 1980s, pumping from the river was not discontinued until the 1990s. Attendance at the Bde Maka Ska beach house continued to decline from its peak in the 1920s. Attendance dropped dramatically during the Great Depression and was further hurt in the 1940s by polio scares. The aging facility was renovated in 1955 to make the outdated dressing rooms more appealing. Even with renovation, however, the era of changing into swimming suits at the beach was near an end. Automobile traffic around the Chain of Lakes became a major issue in 1970 when a landscape architect hired by the park board to address the use of the lakes recommended closing the lake parkways to car traffic—and also proposed creating islands in Bde Maka Ska to add recreation space and visual appeal. The furor that followed put an end to discussions of changing the basic use of the lake and its encircling parkway, although subsequent changes were made to reduce traffic around the lakes. The parkway around Bde Maka Ska continued to carry two-way traffic. The addition of recreation amenities on the lake shore has continued in more recent times. In 1979 two sand volleyball courts were built near the southwest shore of the lake and in 1985 a playground for small children was built on the east shore. A year later a walkway was created along the channel between Bde Maka Ska and Lake of the Isles to divert pedestrian and bicycle traffic under Lake Street. The quality of the water in the lakes became an increasing concern in the 1970s. The first study of lake water quality was conducted in 1973. A second study in 1991 led to the creation of the Chain of Lakes Clean Water Partnership in 1994. Central to the issue of water quality in the lakes was storm water runoff from the lakes’ watershed. Exacerbating the problem was the removal seventy years earlier of the wetlands near the lake. In an effort to restore the filtering capacity of those wetlands, in 1998 the park board initiated a project to return the once-filled lawns southwest of Bde Maka Ska to wetland. Similar projects were also undertaken at Cedar Lake and Lake Nokomis. New playground equipment was installed at the renovated north beach in 2009. On the opposite shore, the parking lot was renovated to improve circulation and water management. Permeable pavers and rain gardens helped prevent water run off. New lighting and signage also improved the experience of the park. The year 2011 marked the return of a swimming dock or diving platform to the north beach, although the three-level platforms of the 1920s are unlikely to ever return. In June 2012 the park board adopted emergency measures to prevent the spread of aquatic invasive species (AIS) to Minneapolis lakes. Since those measures were enacted, all boats entering Bde Maka Ska on a public launch are required to pass an AIS inspection. In 2013, a Nice Ride bicycle rental kiosk was installed near the northwest shore of the lake. Sturdy, three-speed, lime-green bikes are available to rent from the non-profit “bike share” company for short-term trips April through October each year, weather permitting. Fishing docks were first installed at Bde Maka Ska in 1966. 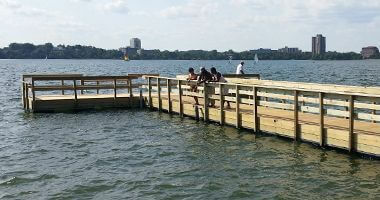 A new fishing dock was installed at the northwest corner of the lake in 2012 and the dock near 36th Street – the oldest in Minneapolis – was replaced in 2013 after a storm left it irreparably damaged. Park entrance signs were updated on Oct. 2, 2015 to include both Lake Calhoun and Bde Maka Ska as a public education effort and to honor the Dakota name. On January 29, 2018, Bde Maka Ska became the official name of the lake previously known as Lake Calhoun, following county and state approval of a request to change the lake name. All park signs were updated. Bde Maka Ska is pronounced “b-day ma-KHA skah” and translates to “White Earth Lake” in the Dakota language. Bde Maka Ska was never connected by a channel to Lake Harriet because its surface is seven feet higher in elevation than Lake Harriet. Connecting the lakes would have required constructing locks between the lakes. The other lakes in the Chain of Lakes did not have as great a difference in elevation, although the waterline in Cedar Lake and Brownie Lake dropped five feet when those lakes were connected to Lake of the Isles and Bde Maka Ska. The drop in water level created a peninsula out of an earlier island on the west shore of Cedar Lake. The first female park police officer was hired in 1915 specifically to help patrol the beach at Bde Maka Ska and enforce appropriate conduct. Some Minneapolis citizens were offended by the too-revealing women’s swimsuits at the beach, so the park board proposed an ordinance that would have required women’s swimming suits to extend at least four inches below the knee. Theodore Wirth put an end to consideration of the ordinance when he asked if he was supposed to take a tape measure onto the beach. Instead the board hired its first policewoman to help maintain decorum at the beach. Thomas Beach is one of three beaches Bde Maka Ska has to offer, and one of twelve beaches in the Minneapolis park system. The Dakota name for the lake, "Bde Maka Ska," means White Earth Lake. They aren't as busy in the winter months, but are maintained as needed so that they remain accessible to pedestrians and bikers. 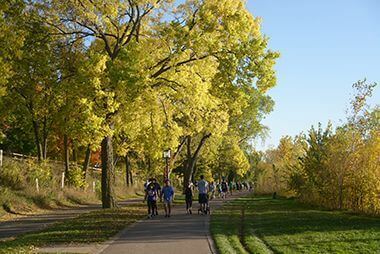 Bde Maka Ska has 3.1 miles of Pedestrian Trails, and 3.19 miles of Bike Trails encircling the lake. Log rolling is a sport with strong historical roots in the Midwest, but is new and unique to many. 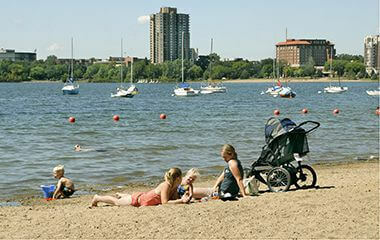 Sessions are offered at Bde Maka Ska Thomas Beach and Lake Nokomis Main Beach. 32nd Street Beach is one of three beaches Bde Maka Ska has to offer, and one of twelve beaches in the Minneapolis park system. Chain of Lakes regional park is connected by a series of canals for canoe and kayak. 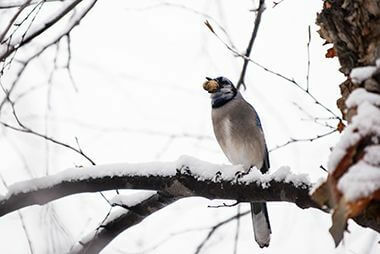 Even in the winter the lake is full of life! 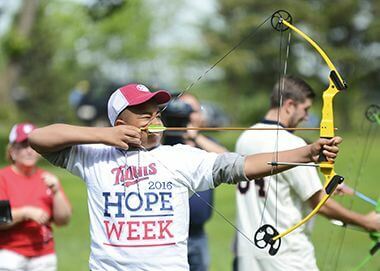 Practice with a bow and arrow at Bde Maka Ska Park or one of our other archery locations. North Beach is one of three beaches Bde Maka Ska has to offer, and one of twelve beaches in the Minneapolis park system. 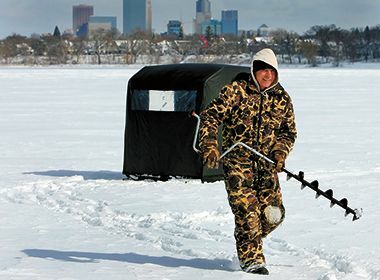 Minneapolis lakes offer the same great fishing in the winter as they do in the warmer months. Walleye, Northern Pike and Crappies can be found at Bde Maka Ska.